The very first time I came across one of the illustrations from the Alhamdulillah for Series was on Instagram. I still clearly remember the post. It said "Alhamdulilah for Halal burgers" and I was so glad to read that. I actually felt so happy because it was so true and I could totally relate to it. That's because initially when I was in North East England, it was really difficult to find Halal eating options so we had to travel for long distances just for dining out. 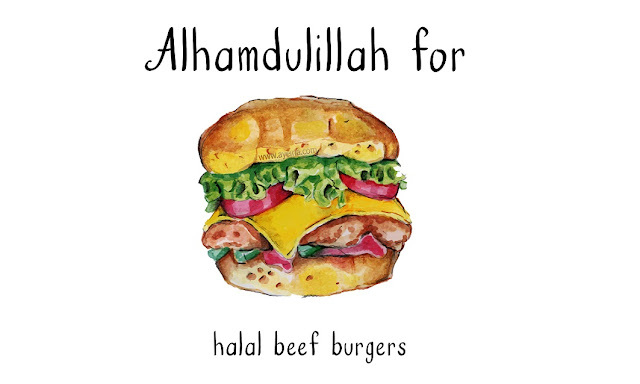 Ayeina has been kind enough to give the Alhamdulillah for Halal Beef Burgers illustration as a freebie exclusively to you all! So, why don't you download it, print it and frame it on your kitchen wall. What a fabulous reminder it would be for you to be grateful to Allah! I really like the concept of Alhamdulilah For Series initiated by Ayiena. It makes me realize that there's so SO much to be thankful for. I know we can't ever thank Allah enough for the blessings He has showered upon us. It often happens that we take things for granted or even forget to thank our Lord for everything. 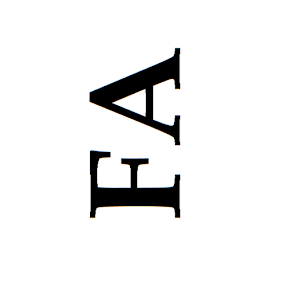 Ayeina came into existence, thanks to the collaboration between 2 sisters who wanted to create awareness of all kinds of blessings He bestows upon us. The every day blessings that may seem common in our eyes are actually what we should be thankful for. Ayenia believes, "A believer is the believer’s mirror." 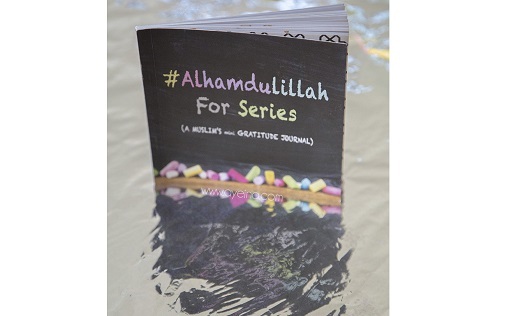 The Alhamdolilah For Series began with a series of drawings, however, with creative artwork and captions coming from all over the world, the duo took it further and turned it into a fabulous book. It has become so popular now, that it is also being translated to German and Arabic but they are further aiming to translate it into other languages such as Urdu, French, Swahili and Hindi too. The illustrations in the book are not only delightful but they can easily catch the attention of any individual of the family, either young or an adult. 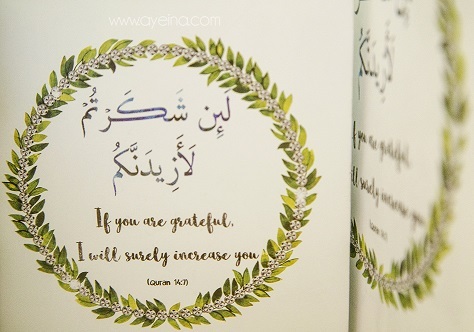 To focus on their idea of gratitude, Ayeina has opened and closed the book with Quranic verses. 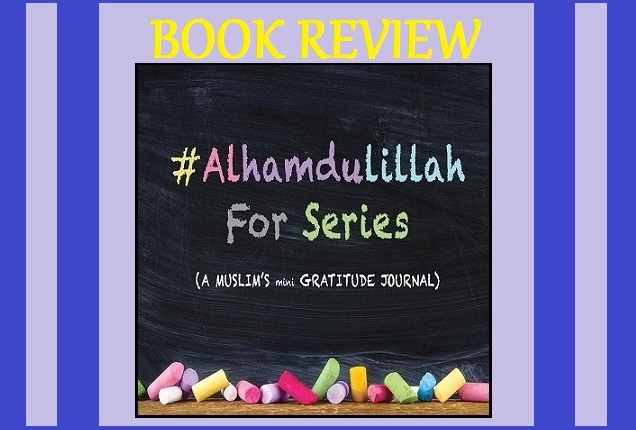 The book has been divided into 4 categories, #Alhamdulillah for Basic Necessities, #Alhamdulillah for Islam, #AlhamdulillahFor TiesThatBind (relationships) and #Alhamdulillah for everything (in general). I also noticed a few pages that can be used to fill our own details and these I believe, make a perfect fun activity for children. You must be aware of the very popular "Happiness is... Series" so according to Ayeina, #AlhamdulillahForSeries is the Muslim version of it. I'd say this book is perfect to gift to the loved ones especially for teaching gratitude to children. 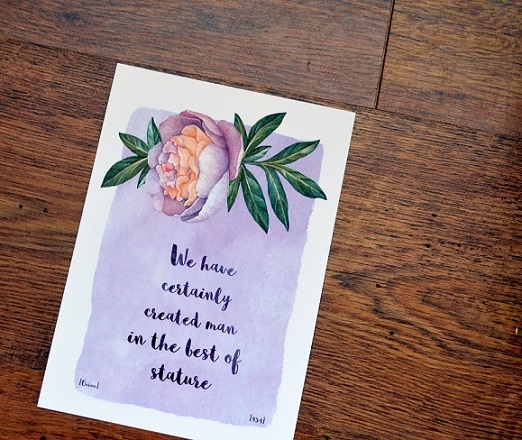 The handmade water colour illustrations make it attractive and can easily help them learn and focus on gratitude and in staying positive. Also, there is a section where they can write about one thing they are grateful for, each day! There are 4 blank pages with numbering and as stated earlier, that's where the child can write one Alhamdulilah a day. 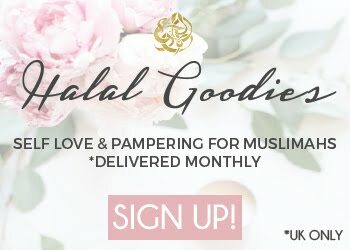 The Muslims Mini Gratitude Journal is available in both digital ($7) and printed ($10-$25) form, it can be purchased from Amazon and shipping charges depend on your location. Besides PayPal, they also accept payments through other methods, which you can check with them. You can check out more amazing artworks and details on Ayeina's website, here. Below is the beautiful artwork by Ayeina that I own and it came along in my Halal Goodies luxury beauty subscription box. All the images are the property of either Blogs by FA or Ayeina. Disclaimer: Ayeina sent a copy for the purpose of book review, it is an honest review and all the views are my own. You are most welcome. Wishing you all the best for your future endeavours. This sounds like a very interesting book. I myself do not have children but I would like to have this book for my niece and nephew. You must definitely buy it. The kids will love it. Came across your post through a Facebook group and I would agree that these book would be perfect Eid gifts for children. Will share the post with my friends. 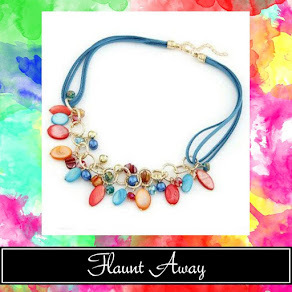 This was such a beautiful review, thank you for sharing. Hehe, you got it right! I just got the ebook recently and I am soo thrilled to see it. Masha Allah... It's a resource worth having in every home - for the young and old. Such an awesome and creative idea! May Allah bless your life with increasing amounts of gratitude. Ameen. I keep meaning to buy this book but never get around to it, in sha'Allah soon i definitely need to buy it. And would make such lovely gifts as well! They sure make lovely gifts. This is so beautiful and inspiring! Indeed, we can't thank God enough for what He bestowed upon us. Was just reading up on this book little gem. I love the idea of jotting things down to keep our mind focuses on being thankful.